On Halloween, my daughter dressed as Princess Belle and, as expected, put a lot of time and effort into “Trick or Treating.” It got me thinking- as hard as she is working as a princess, would she be entitled to overtime pay if she did this every day? Under the Fair Labor Standards Act, employees are generally entitled to minimum wage for all hours worked and one and one-half times their regular rate of pay for hours worked in excess of forty per week, called “overtime.” There are, however, many exceptions to these rules. An employee can be “exempt” from one or both of these requirements based on their work situation. In most circumstances, whether a person is exempt from the overtime pay requirements of the FLSA is based on the actual work they do. 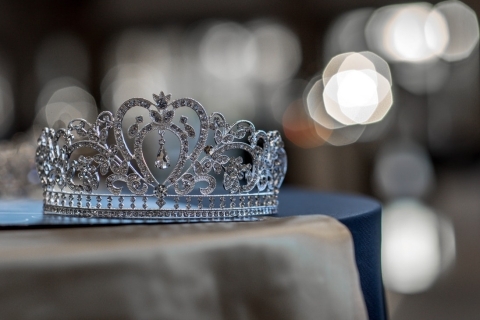 A title- even the title of “princess”- is not enough to determine whether an employer has to pay an employee overtime. So, what is the actual work a princess does, and would that work mean that a princess is entitled to overtime? Some “princesses” would presumably have actual authority and/or dominion over others, such as castle staff, in a way that would make the princess’s work fall under the executive exemption. To qualify for the executive exemption, the princess would need to supervise at least two full-time employees or their equivalents, must have the authority to hire or fire employees or to give suggestions about hiring, firing, advancement, and discipline that are given great weight, would have to have her primary job duty be management, and would need to be paid on a salary basis of at least $455 per week. “Primary duty” means the principal or most important duty that the employee performs. While it is likely that a princess would be able to direct the work of and fire servants, it also seems likely that some sort of royal chief-of-staff would handle most management duties, and the princess’s primary job duty would more likely involve charity work, kissing frogs, and attending balls. Some “princesses” could possibly fall under the administrative exemption. To qualify, a princess would need to be compensated on a salary basis of at least $455 per week, would need her primary job duty to be the performance of non-manual work directly related to the management or operations of the employer (or kingdom), and would need her primary job duties to include the exercise of discretion and independent judgment with respect to matters of significance. The last requirement could be a sticking point for some princesses. Conceivably, many monarchies would leave the exercise of discretion with respect to matters of significance to the king or queen. If a princess were allowed the opportunity to make important decisions based on her own judgment, she could very likely fall under the administrative exemption. Another exemption that could disqualify a princess from an entitlement to overtime pay is the professional exemption. There are two types of professional exemptions- “learned professional” and “creative professional.” To qualify for the learned professional exemption, the princess would need to be paid on a salary basis of at least $455 per week, would need her primary job duty to require advanced knowledge, being primarily intellectual in nature, and including the consistent exercise of discretion and judgment, and for that advanced knowledge being used to be in a recognized field of science or learning and customarily acquired by a prolonged course of specialized intellectual instruction. A princess who has had extensive education in matter of international politics who works primarily as a diplomat, for example, may qualify for this exemption. To qualify for the creative professional exemption, the princess would need to be paid a salary of at least $455 per week and her primary duty must be the performance of work requiring invention, imagination, originality or talent in a recognized field of artistic or creative endeavor. The creative exemption may be appropriate for someone who works as an actress portraying a princess, as opposed to an actual princess. In summary, whether a princess is entitled to overtime pay depends on what type of princess she is. For princesses, and all employees, you usually have to look at the actual work someone does to see whether they have to be paid at least time-and-a-half for their hours worked in excess of forty per week. If you are a princess, prince, peasant, knight, or any employee who wants to know whether you are entitled to overtime pay, call Gold Star Law for a free consultation.